o HIV/AIDS and TB, prevention, treatment and care. o Prevention of sexual abuse of children and women and treatment, support and care of victims. o Preventing drop-out of young girls and boys from school. PLACE is a rapid assessment tool to monitor and improve AIDS prevention program coverage in areas where HIV transmission is most likely to occur. It is designed to target resources at high risk areas to prevent new HIV and TB infections. It systematically identifies gaps in current prevention programs, enhances the local use of these findings to improve program delivery, and monitors program coverage over time. The PLACE findings are used to inform several AIDS control activities and also focus on monitoring behaviour and program coverage. It includes condom distribution, peer health education, access to HIV counselling and testing, treatment of sexually transmitted infections (STIs), harm reduction programs for injecting drug users, and tuberculosis control. The PLACE survey enables the implementing team to describe knowledge, attitudes, beliefs and practices (KABPs); including sexual behaviour and condom use of youth and older people at the identified sites and facilitate the development of education and communication strategies and HCT. The strategies are specifically aimed at promoting positive behaviours towards identified norms; especially stigma and discrimination of children and people living with HIV and infected with TB; and lead to increased HIV testing, treatment adherence and TB testing and cure. The purpose of the dialogues is to get people to share information on the health status of their communities, identify challenges facing them and work together in identifying areas that need mitigation and also what needs to be done. 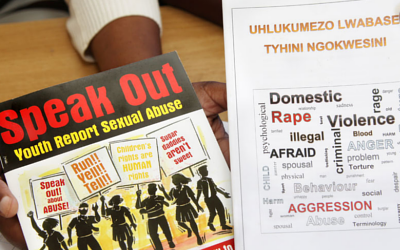 It focuses on developing intervention strategies to deal with HIV, TB and gender based violence. Bright Futures Programme is a methodology that has been developed by Small Projects Foundation to empower girl children with skills and knowledge to have mastery over their own lives. It seeks to galvanise young girls to secure their futures by providing them with appropriate knowledge on puberty and sexual reproductive health, thereby inspiring them to make informed decisions and to develop a healthy self esteem. Protecting Futures Component: This deals with puberty and sexual and reproductive health rights. It comprises of 6 learning units that are aligned to the South African school curriculum for Life Orientation. 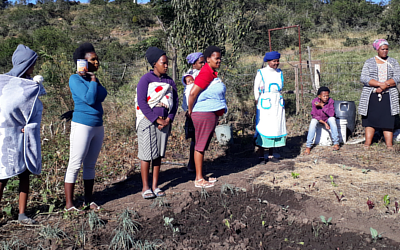 Through the Protecting Futures Component, girls learn about puberty, intimate relationships, preventing teenage pregnancy, parent-daughter communication, HIV/AIDS and the importance of thinking about the future. 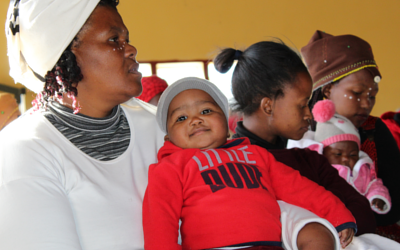 The Protecting Future Programme which is school-based has resulted in a decrease in pregnancy of school learners, decrease in absenteeism and drop out rates, children being aware of their sexual and reproductive health rights. It has resulted in more cases of sexual abuse being reported to authorities. Parents are now attending parent meetings at schools and are involved in the lives of their children. Of significance has been anecdotal reports from fathers who mentioned that they were not aware that ‘males’ should be involved in the upbringing of girl children. 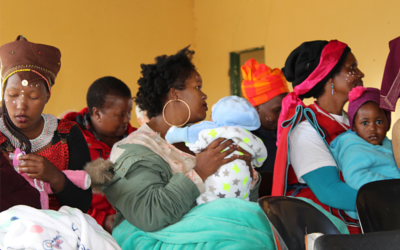 The programme has involved fathers in the upbringing and care of their girl children. Give Yourself a Job Component: Mentors young people in perceiving a vision of the future and develop the skills, confidence and knowledge to find or create their own jobs in the local economy. Give Yourself a Job component comprises of 14 learning units that are aligned to the South African school curriculum for Economic and Management Sciences.